The Galaxy A8 received Wi-Fi certification running Android 6.0.1 two months ago, but the device has just started receiving the Marshmallow update. Samsung has started rolling out Android 6.0 update to the Galaxy A8 (SM-A800F) in India. The update has a file size of 1112.27MB that brings Android 6.0 to the Galaxy A8. Android Marshmallow comes with Google Now on Tap, granular app permission management, Nexus Imprint API for the fingerprint sensor, newer UI design, Doze mode, and some other features. If you haven’t received the update already, head into the Settings » About device » Software update menu on your Galaxy A8 to start downloading the update. If you’ve installed the update already, let us know about the phone’s performance or any new features that you might spot. Thanks for the tip, Sai Harish Pathuri! Did Samsung forget about A8000? 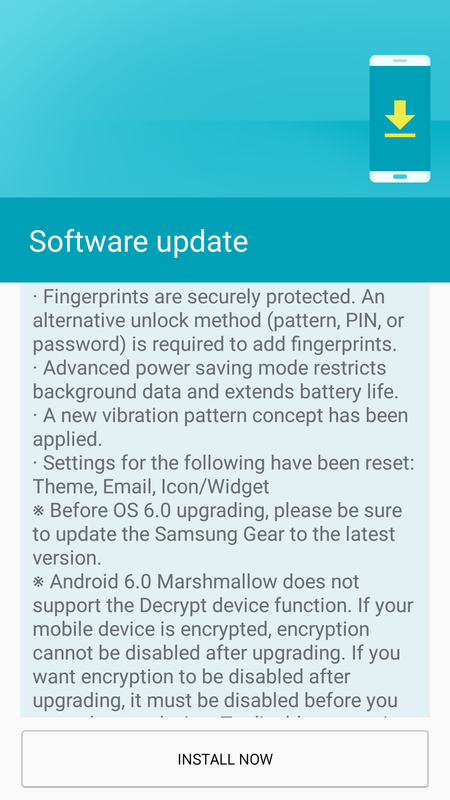 SM-A800F (GSLAXY A8)received the marshmallows update . When SM-A800i will get the marshmallow update. Why still no android 6.0 for galaxy A800F in Bangladesh? why still no android 6.0 for galaxy A800F in Vietnam, please explain. Vietnam is not yet. You can odine the Thailand firmware. Smooth & save a little bit ram. When update Samsung galaxy alpha ? What about Note 3 Neo? Any news about marshmallow taste for this device. when will get marshmallow update for samsung j7 in india we are waiting eagerly?please tell me the date of marshmallow update in india in samsung j7 J700F…. Galaxy A9 (a9000)Hong Kong update 6.0.1??? Please! Did you try factory reset? How is it now? Did you change another sim or flash back to previous firmware? It’s said Indian firmware is good to try. You can test it by upgrading thru Odin. If it’s still get issue then back to 5.1.1 will be the best choice while waiting yr country firmware fix the bug. After trying to extract the firmware from the .zip file, it says it’s corrupt (! C:XXA800FXXU1BPF5_A800FODD1BPF4_INS.zip: The archive is corrupt), but the zip proceed with the extracting process, is it normal? Should I go on and try to update my phone firmware anyway? Thanks! It’s normal. I got the same but still upgrade successful. Why A7 2016 until now has not received updated 6.0? Can’t download the firmware. Pls fix. 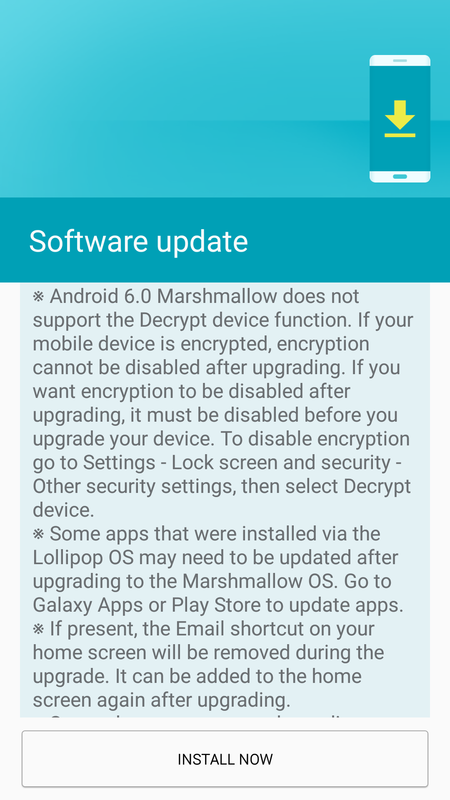 On5 is exynos variant then how it got MM update. 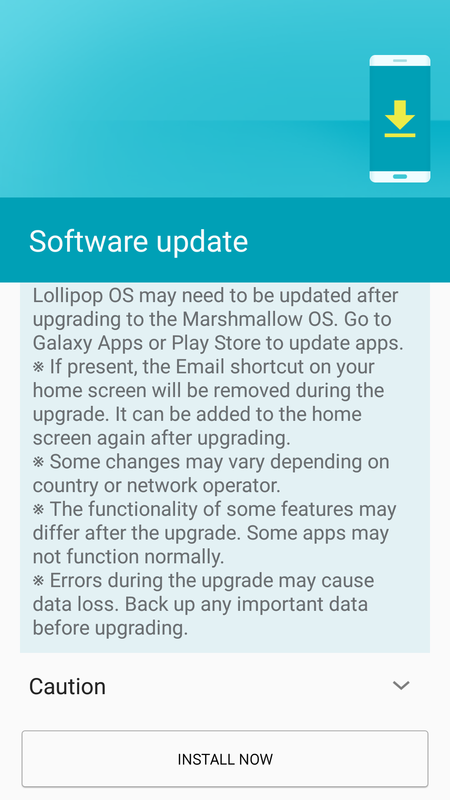 Where is the Samsung Galaxy Alpha Marshmallow update? it is very disappointing. Alpha is almost 2 years old device shipped with 4.4.4. A8 is only 1 year old phone shipped with 5.1.1. So don’t expect alpha to be updated to mashmallow when A8 gets it. Be realistic! But you don’t know this, Alpha is a more premium and more powerful device than A8. So mm update is usual and neccessary for Alpha. Galaxy alpha Available. Released 2014, September ,but mashmallow available 2015 september.